The Cabernet Franc shows gorgeous black cherry and cassis aromas. In the mouth, the core of sweet fruit is backed up by layers of dark chocolate, mocha, anise, and mineral flavors. 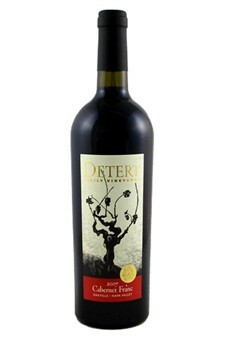 Wonderfully balanced with a big, smooth, rich texture on an elegant and restrained frame. On the finish, notes of cedar, vanilla, sweet blue fruits and cocoa persist. Long and sophisticated.